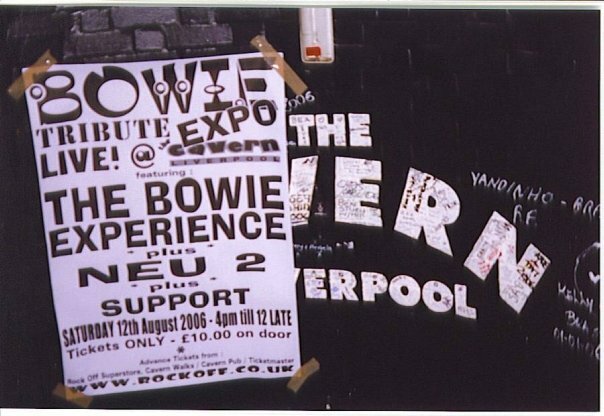 After the Beatles tour, I wandered around Liverpool with the express purpose of staying awake. The key to beating jet lag is forcing onesself to stay up that first night. I had visions of hanging at the Cavern in the evening, but at 7 pm on the dot my head hit the pillow…and my eyes did not open until 12 hours later. Woke up, fell out of bed, dragged a comb across my head (sorry for the dorky Beatles reference.) Then, took a walk down to the waterfront before catching a train to Oxford. I love European trains. They’re so comfortable and efficient…just like in the States. (Blame Eisenhower.) In any event, I arrived at the Oxford station in the early afternoon. Oxford is about an hour west of London. I caught a cab ride to Manchester College, one of the 29 colleges comprising Oxford University. The Oxford Round Table conference staff greeted me, showing me to my room. They said I had a couple of hours before our initial champagne reception. So I wandered around, taking photos…absorbing the history that is Oxford…a place where they began assigning homework in the 1180s. 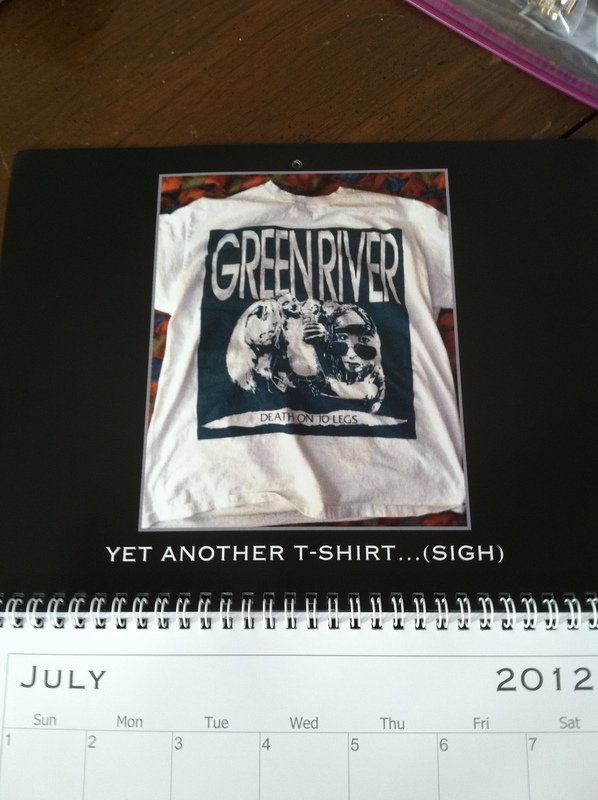 (Yeah, that’s not a misprint.) Unfortunately, I have most of the pics in an album somewhere (that was the last trip I shot on film), but I managed to catch a cricket match in action, which was pretty cool. 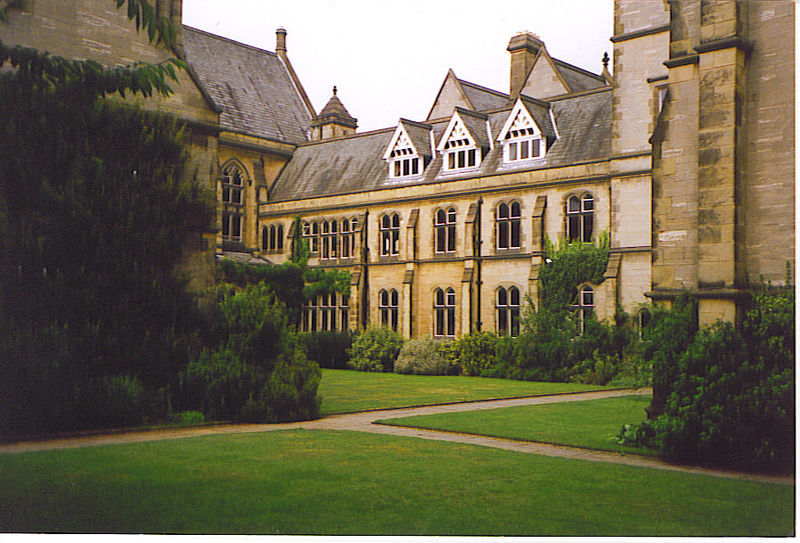 Unlike in the States, Oxford colleges don’t have campuses per se. Rather, they have some buildings, and courtyards. They’re all organized under a loose Oxford University umbrella, but they operate independently. So, if you attend, say Manchester or Christ Church or whatever college of Oxford, you go to that college and that’s pretty much it, other than some facilities that the University shares. When you get your degree, it says Oxford University, with no mention of the particular college. Make sense? No? Well, it’s England…the same place that created a tennis scoring system of love, 15, 30, and 40. The next morning, we headed over to the Oxford Union for the first day of the conference. The top photo below shows the Union hall, and the bottom shows where we ate. About an hour into the conference I realized I was totally outclassed. These folks were scholars. I was merely an amateur. Fortunately, I kept my cool and decided to enjoy myself regardless. I presented a paper that first morning on how the West can challenge China’s economic dominance…wasn’t one of my best efforts, but the other attendees received it favorably, and asked some good, probing questions. At 7 pm, we all met in the library (I have to get that pic…stained glass windows…wonderful) and chatted it up over champagne. I’m not a big champagne guy, but this stuff was top notch. I had two of those every night before dinner. Dinner, as I would come to expect, was amazing. Chef David (from Scotland) prepared the most wonderful gourmet food during our stay. That night, some of us got together to head to the pubs. At my request, we took a walk to an establishment called “The Bear.” I had a lab/goldie mix named Bear whom I had lost the previous spring, so I wanted to go to that particular pub. About ten of us sat outside, chatted over English bitters, and did a toast to my Bear. The Bear was pretty cool…it boasts of having no right angles in the entire structure. It also claims to have first opened in 1284. New Event Announced at Main Street Music in Manayunk! Reading and signing scheduled for Friday, March 2 at 7 pm. The event will be held in conjunction with Manayunk’s First Friday festivities. (For you Seattle folks, Manayunk is to Philly like Ballard is to your town.) This should be amazing! Come out, have some beers, and listen to my favorite Seattle characters tell their stories. You may have noticed a lack of posts over the last week or so. That’s ’cause I’ve kind of hit a bit of a wall. So, any suggestions about topics or anything you’d like addressed, please let me know and I’ll do my best to accomodate. I am still working on a piece about the Blackouts. In the meantime, I thought I’d write about an experience I had five years ago traveling to the UK. 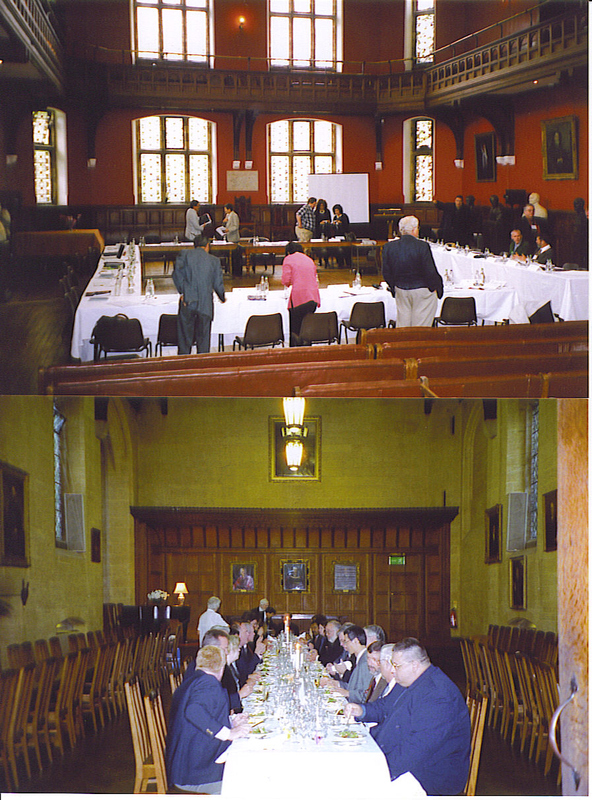 Back in the summer of ’06, I attended a week-long history conference at the University of Oxford. It was one of the best weeks of my life. 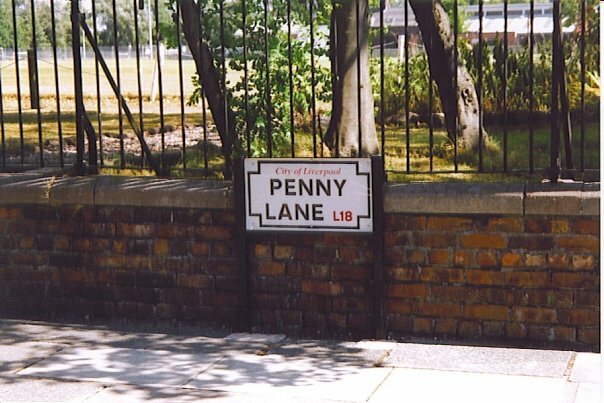 We had to check in on a Sunday afternoon, but being a Beatles fan, I decided to come in a day early and go to Liverpool. So I flew into Manchester airport on Saturday morning, completely exhausted from a lack of sleep on the flight (the older gentleman sitting next to me had this wonderful habit of jabbing me with his elbow just as I was falling asleep…happened like three times.) I then caught the hour-long train ride to Liverpool, which faces the Irish Sea in Northwest England. If you’ve ever been overseas, you’ll relate to what I’m about to talk about. I had travelers’ disorientation going big time…a combination of the physical exhaustion and lack of familiarity with my surroundings in a foreign city. I also found Liverpudlians difficult to understand. Every sentence seemed to trail off into mumble-land. I finally got tired of asking people to repeat themselves after four of five times, resorting to the standard “foreigner nod.” Hopefully, I didn’t incite any international incidents. 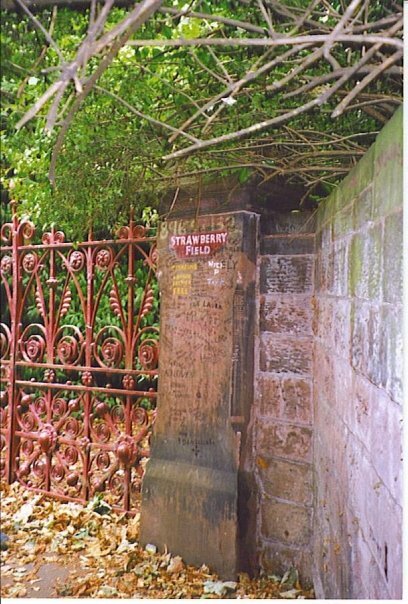 Then, we visited two sites that inspired Beatles songs…. Saturday, February 18, 1 to 3 pm.